Revolutions come and go, transforming our world in ways that change the very fabric of society. Carlota Perez(1), author of Technological Revolutions and Financial Capital: The Dynamics of Bubbles and Golden Ages, writes that society has had a technological revolution every 60 years or so since the Industrial Revolution began in 1771. Each revolution has changed the nature of economies and work, the relationship of workers to employers, and the process of finding permanent and now contingent work – and keeping it. And each revolution – especially the information and communications technology revolution we now live in – has come faster and been harder for workers, forcing huge changes in skill sets, education, relationships, and even geography. Accompanying these revolutionary changes is the shift in how individuals find employment: they are no longer indentured to a landowner or employed by a shopkeeper neighbor. Today they’re more likely to be a knowledge worker — perhaps a software engineer who works with a favorite recruiter, networks on social websites, and visits job boards. Technology is everywhere in our lives. It’s pervasive. To succeed, recruiters and candidates alike must continually adapt, keep learning, and manage their work personas and personal brands through the use of technology. The competitive edge will go to the knowledgeable, personable and technically savvy. At work, his laptop travels between development meetings, hooked into the building’s network. He eats lunch at his desk with a quick break to check on Twitter and Facebook. Despite cautions to the contrary, he’s set up an SSH link using PuTTY to tunnel through work firewalls to access his home server and email. He checks the home system to see if the kids are home from school. And all the time, he’s writing code, downloading code snippets from GitHub and checking Stack Overflow for answers to thorny questions. Oh, yes — and fielding multiple emails and phone calls from recruiters offering the sun, moon and stars if only he’ll talk to a mysterious startup about to change the world. And then he picks up the kids from soccer practice. The hotshot software developer feels constant pressure to be present. Even with seamless connections between work and home, he has nagging fears about falling behind as younger hot shots join the team. SMAC (Social, Mobile, Analytics and Cloud) has hit everyone in the head, bringing a new wave of IT transformation — the world of pervasive technology. When recruiting and screening tech candidates, employers should also consider interpersonal skills. According to the same Computerworld Forecast survey, the two most important characteristics are the ability to collaborate and communicate. The economy appears to be picking up. VC investments in tech startups are increasing after a lean five years. Employees who dug in to less-than-great jobs are back on the market, networking like mad and ready to move. We’re at another inflection point, and the pressure on candidates and recruiters is increasing — not only because of recovering economies — but also because of pervasive technology. Although having a college degree gives professionals more than a leg up over high school graduates — both in job opportunities and higher salaries — job applicants and recruiters both have to continuously learn to keep their edge. Video-based learning, recruiting, conferencing, and blogging are all commonly available. More than 88% of all mobile devices are smartphones, and more than 5 billion mobile devices are in use around the world. Social and online communications tools continue to grow in importance. Young employees have high expectations for online collaboration, knowledge sharing, and top-to-bottom transparency. Outside of workplace learning opportunities, there are other viable models that exist today for knowledge sharing. While they’ll never entirely take the place of formal classroom coaching, private industry and university movements like MOOCs (Massive Online Open Courses) and online learning sites like Khan Academy, Udacity, Coursera and Skillshare have dramatically changed how learners attain knowledge in thousands of different tech subjects. In fact, more than 24 million people have already taken low-cost online courses around the world(3) and these branded courses will soon be viewed as a new form of certification for employees at all levels. These learning communities that combine social tools with the power of video have undeniable impact. For example, according to comScore’s monthly index(4) of Internet video use, nearly 190 million Americans watched 47 billion online content videos in November 2013. Online learning sites and services have freed knowledge from the time and space boundaries of the formal classroom. Now, organizations can allow employees to simultaneously develop their technical skills while continuing their day-to-day work. Plus, busy “rock star developers” don’t always have time to sit in a classroom and listen to lectures; so learning must come to them in the form of an easy-to-consume media — like video. Stack Overflow and GitHub are two additional websites that are all about learning and sharing programming-related questions. Stack Overflow is a language-independent, collaboratively edited question-and-answer site for developers. GitHub is a web-based hosting service for software development projects that use the Git revision control system. Even Dice, one of the biggest career sites for technology professionals today, offers a variety of tech talent communities where individuals can absorb relevant content, leave comments, and learn more about everything from cloud computing to Ruby on Rails. Again, pervasive technology is everywhere, changing how we live and work. We’ve got to stay on top of it all to keep relevant and marketable. For recruiters, pervasive technology makes it easy to aggregate candidate, brand and job information across multiple social channels. For companies, pervasive technology not only powers the business, it makes it possible for HR executives and recruiters to work together more effectively — so employers and candidates find each other more easily. Pervasive technology uses social, mobile, analytics and cloud technologies to deliver information when you and your company need it. It changes everything — and just in time. Companies that are “in the know” and connected will attract the top talent. Those who aren’t will be left behind. Pervasive technology continues to heat up the global economy and drive hiring. According to a Dice survey of 900 tech hiring managers and recruiters, signs are good for a tech-hiring resurgence in 2014. Nearly three out of four survey respondents (73%) reported that they are planning to hire more tech pros in the first half of 2014. One-quarter (24%) indicated additional hiring would be substantial, as compared to 19% who felt that way in mid-2013. Why? Social, mobile, analytics, and cloud are driving disruption in huge sectors of the economy – travel, retail, ecommerce, advertising and CPG. Take mobile, for example. Companies need mobile app developers now but a mobile-first strategy yesterday. They need to tear down or prop up aging websites and focus on mobile users. Tech skills most in demand for 2014 are in software development, according to Wanted Analytics. Help-wanted ads for software developers are up 120% over last year, including mobile, web, and back-end support. (5) Mobile apps continue to be another extremely hot area, driven by an increasing demand for people who can help companies compete in a mobile world. Consumers are empowered by mobile, and they’re making their preferences felt by webrooming, showrooming and online-to-offline shopping (terms you never would’ve dreamed of even five years ago). They’re pushing into the business ecosystem by selling crafts on Etsy, clearing out mom’s house on eBay, swapping ideas on Pinterest and storing personal and work data on Box and Dropbox. They’re pushing the company to open up by using Google Docs. They’re changing how ideas are socialized with Prezi. They’re curating ideas and work to-do’s on Evernote. Even second graders are abandoning PowerPoint in favor of Prezi. And consumers are redefining notions of trust and tipping the center of gravity away from business control to consumer control with connected devices. They’ve changed the balance of power with pervasive technology, and companies are racing to keep up. That means hiring the right tech talent — and it also means people looking for those prized jobs need the sharpest skills, the best networks, and unassailable on-line reputations. In a connected world, everything has an online component — even work histories and personal stories. Even the most passive job candidate is visible, transparent, and does as much research on the company as the recruiter does on him or her. Recruiters need to be one step ahead, aggregating data about passive candidates by mining big and small data on social networks, Dice, and others with pervasive technology. Each of these web services is a way for candidates, employers, and recruiters to build visibility and a personal brand, and provides an important function in drawing an audience. Employers also have created strong brands across these social networks in order to attract candidates, retain employees, and build visibility with customers and other stakeholders. The advent of these social networks has been a boon to recruiters. They can quickly take the pulse of a company’s health, hear about shifts in strategy before being told by HR management, and find the most interesting participants — all with a few keystrokes. Most importantly, they are the place to start primary or secondary research on candidates, companies, and even industries. So, armed with data from social networks, are recruiters prepared to search for candidates? Not quite. What’s next is analysis and sentiment, which can be achieved with another set of technology tools. Data mining can be as simple as a few Google searches, a trip to Twitter, and visits to key blog sites. However, if you really want to take advantage of all that data and make it useful, you need tools to help easily aggregate, analyze, and render it. A number of startups like Trackur, Bazaarvoice, Lexalytics and Sysomos measure sentiment and content across social networks for brands. Activate Networks is creating a social listening platform which can quickly assess employee sentiment within a company, alerting HR management to hot spots of employee risk or discontent. Dice offers Open Web, which is a powerful social recruiting tool that aggregates tech professionals and their social data from across the web. Open Web gathers data on candidates from more than 50 social sites to give recruiters a single point of access to millions of tech candidates. It’s rich with information about a candidate’s passions and interests. This aggregated data allows recruiters to personalize their approach and get higher response rates — all from one tool. Pervasive technology — social, mobile, analytics, and cloud-based platforms — is changing the world of work for businesses, recruiters, and candidates. Recruiters must learn to continually stay relevant in the applicant-to-employer mix. They need to speak tech like a digital native to retain credibility. As pervasive technology changes the playing field, empowering brands and candidates, it’s changing more than the world of work, of course – it’s changing how we live. The inexorable pace of change and the increasing technical sophistication of candidates — Millennials, especially — will leave Luddites behind. Recruiters and candidates alike can now skill up, read up, and, at the end of the day, learn more about each other than ever before. And, as a result, be better prepared for the world of work’s continual transformation. Recruiters: Don’t be caught flat-footed without tech skills and vocabulary. Consider taking a basic coding class, or participating in a MOOC class such as MIT’s Introduction to Computer Science and Programming Using Python. >Read Dice’s Tech Hiring Guide. If you are going to play in the space, skill up or you won’t be credible. Employers: Take advantage of advances in HR technology as you would take advantage of new technology in other aspects of your business. Become a student of Josh Bersin’s annual predictions. 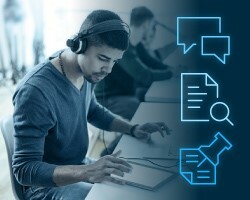 HR technology, and the larger world of SMAC technology, is making innovation, connectedness, and collaboration easier for all. SMAC is leveling the playing field for candidates and challenging established approaches to recruiting and retention. We all must adapt to win. The alternative isn’t an option. Together we can create a collaborative, engaging workplace built on a foundation of culture, trust, communication, and respect. (1) Perez, Carlota. Technological Revolutions and Financial Capital: The Dynamics of Bubbles and Golden Ages. Edward Elgar, 2003. (2) Computerworld. 8 hot skills for 2014. Sept. 2013. (3) Forbes. The Year of the Employee: Predictions fro Talent, Leadership and HR Technology in 2014. Dec. 2013. (5) CNNMoney.com. Tech job forecast for 2014: Hot and getting hotter. Dec. 2013. I read your article on SMAC. It was very informative, educational and useful. I understand the value of incorporating SMAC in to our thinking, to all aspects of business processes especially in talent recruiting. You have done a super job in this article. Congratulations!. Keep up the good work.